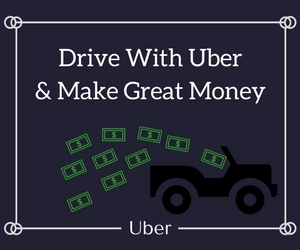 Becoming an Uber driver is great, but you need to know the requirements for your vehicle in order to know what is acceptable to drive and what is not. The most basic and most common category people fall under is being an Uber driver for Uberx. This page will show you the vehicle requirements for UberX. If you would like to see the car requirements for other Uber services just click below on any of the services you would like to drive for. UberX is the most common service for requesting a ride to be picked up. This service is a low cost option (cheaper than a taxi). Instead of requesting rides by hailing a cab or calling for a taxi, you now can simply request a ride through your phone app and typically be picked up within minutes. This benefits suburban areas immensely. You now have Uber drivers picking you up in areas where you would never be able to hail for a cab because they don’t drive down your street. Some examples of vehicles that you would drive in would be a Toyota Prius, Toyota Camry, or Hyundai Sonata which is what I use for Uber. Each Uber service has a different set of car requirements. UberX, the most basic Uber service will accept basically any 4-door car providing it is of a certain age. However, when you decide to drive for Uber Black, a more professional car service, there will only be a handful of different types of cars that will be accepted. * Car year requirements vary by city and are subject to change at Uber’s discretion. While most cars are accepted into UberX that meet the above requirements, it’s still good to have an idea of what kind of car you should use for the platform. Below is a list of recommended cars and a few restricted cars as well. Both restricted and recommended vehicles are subject to change and can vary depending on the city. So there you have it. Those are the car requirements for being an UberX driver. Starting on this platform is my best recommendation if you decide you want to drive for Uber. If you have any questions leave a comment below. Check out the UberXL car requirements next!